Landfill leachates contain a variety of toxic compounds, which makes them one of the most difficult types of wastewater to be treated. An alternative “green” technology for leachate treatment is the use of constructed wetlands (CWs). The aims of this study were to select macrophytes and substrates to be used in vertical flow wetlands (VFWs) and to evaluate the performance of hybrid systems composed by a VFW and a horizontal subsurface flow (HSSW) or a free water surface flow (FWSW) wetlands for the treatment of a high ammonium concentration landfill leachate. In microcosms scale experiments, Typha domingensis, Scirpus californicus, and Iris pseudacorus were studied to assess their tolerance to raw and diluted leachate. Substrate selection for VFWs was evaluated using different layers of light expanded clay aggregate (LECA), coarse sand, fine sand, and gravel. 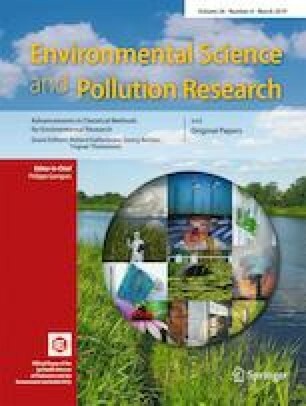 Contaminant removals were higher in planted than in unplanted wetlands. Plants did not tolerate the raw effluent but showed a positive effect on plant growth when exposed to the diluted leachate. T. domingensis and I. pseudacorus showed higher contaminant removal ability and tolerance to landfill leachate than S. californicus. VFW with LECA + coarse sand showed the best performance in removal efficiencies. Hybrid system composed by VFW-FWSW planted with T. domingensis presented the best performance for the treatment of landfill leachate with high concentrations of ammonium. Funds for this work were provided by Consejo Nacional de Investigaciones Científicas y Técnicas (CONICET), Universidad Nacional del Litoral (UNL), and Agencia Nacional de Promoción Científica y Tecnológica.